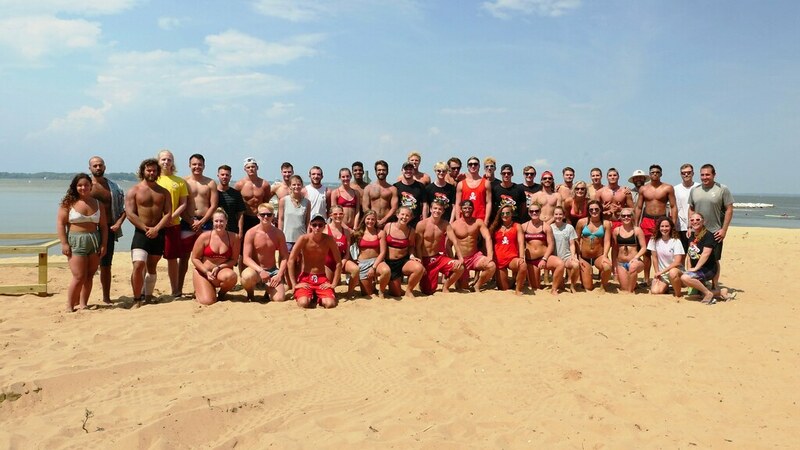 Six teams of lifeguards from the Maryland Department of Natural Resources put their skills to the test in a competition held Aug. 7 at Hart-Miller Island State Park in Baltimore County. 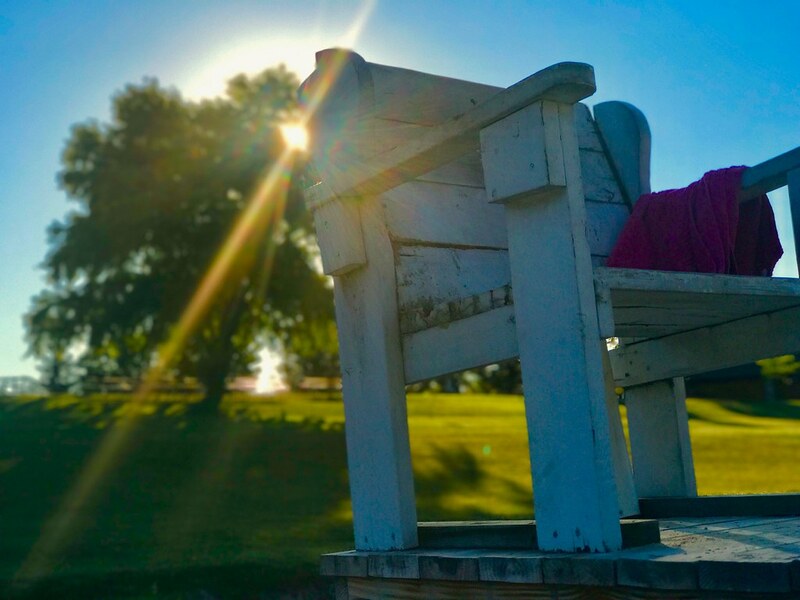 The Maryland Park Service hires more than 120 lifeguards each year to protect summer swimmers and waders at the state’s beaches, lakes and pools. They continually complete strenuous skills training to maintain peak physical condition to guarantee the best protection available for state park patrons. 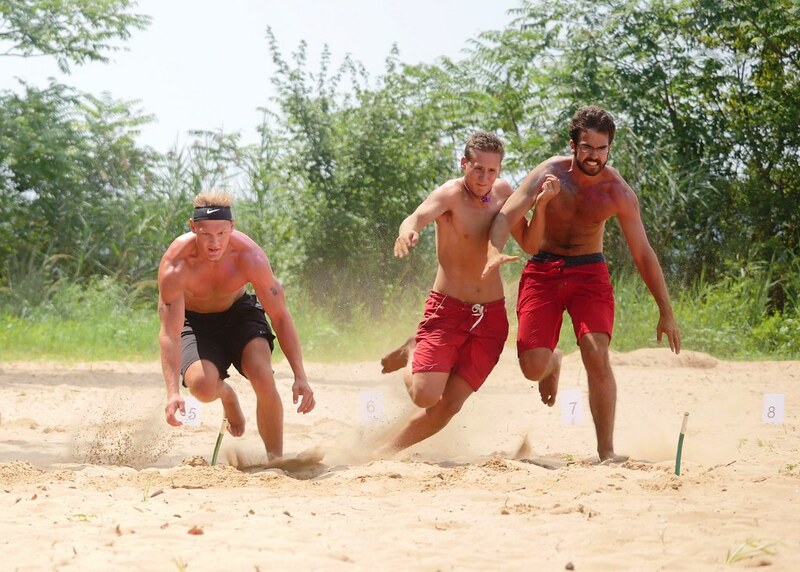 The annual competition brings these lifeguards together from all across the state to compete in a variety of physical and skills-based challenges, including a beach flags competition, obstacle course, rescue relay and triathlon. 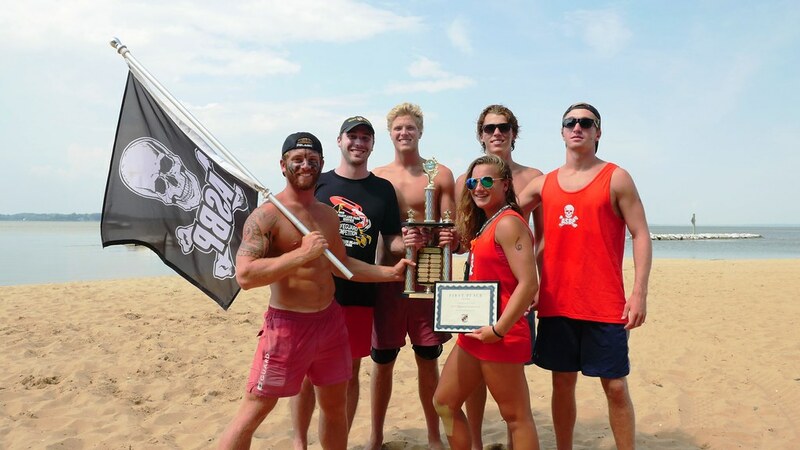 State parks send their finest and fittest to compete for bragging rights and – of course – a trophy. The lifeguard team from Assateague State Park took first place, followed by Cunningham Falls State Park and Gunpowder Falls State Park.